Much like airports themselves, Southern Ontario is a massive hub of activity. Already the economic powerhouse of Canada, the region is poised for dramatic growth over the next three decades. As its population and economy continue to grow, demand for air travel will follow suit. No single airport can support the forecasted demand alone. By working together, our region’s most commercially significant airports will be better placed to support local economic development, and in doing so, increase the competitiveness of the region, the province and the country. 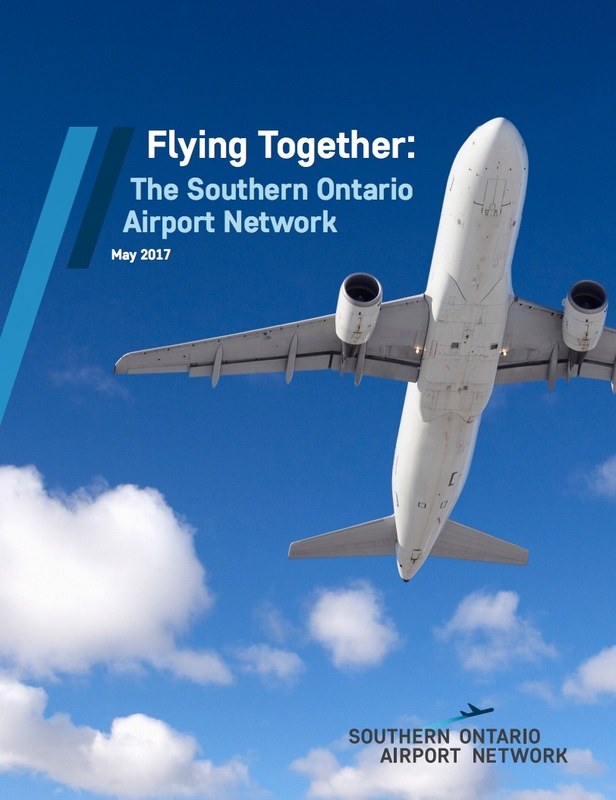 To ensure our region can accommodate all the air service needs of the region, and continue to be drivers of local and regional economic opportunities, the Southern Ontario Airport Network was formed. Learn more about how Southern Ontario and its air travel demands are growing. Currently home to more than 11 million people, Southern Ontario’s population is expected surpass 15 million by 2043. The most economically productive region in Canada, it’s also a hub for innovation. Home to several Fortune 500 companies, more than 600 post-secondary institutions and an innovation corridor with the second-largest concentration of tech companies in North America, the region is responsible for 37 per cent of the Canadian economy overall. Employment in the region also is growing steadily, accounting for 85 per cent of all employment in the province and 33 per cent of the country overall. Along with its dense and growing population, Southern Ontario is home to a robust tourism industry. Visitor spending in the province exceeds $25 billion, with much of that happening in Southern Ontario. Toronto, for example, had roughly 40 million visitors in 2015 alone, with those travelers spending $7.2 billion. Niagara Falls receives 14 million visitors annually, with the region seeing $1.2 billion in visitor spending in 2016. Tourism in other areas, such as Muskoka, Prince Edward County, Kingston and Windsor, also contribute to the province’s overall economy every year. In 2016, 49 million passengers and more than 470,000 tons of cargo flowed through Southern Ontario’s airports. That’s estimated to grow to 110 million passengers and a million tons of cargo by 2043. By the late 2030s, regional air travel demand is likely to outpace the current capacity of the region’s airports. If nothing changes, there could be an excess demand of around 20 million passengers per year by the mid-2040s. The economic impact of passengers leaving the region to meet their travel needs elsewhere could reach as high as $15 billion in GDP. The Southern Ontario Airport Network was created to meet these challenges.